A few years ago, I had an outstanding experience at Donjaca Nishiguchi, a late night (though considering they are open until 3am, the appropriate term is closer to “all night”) Izakaya in Shinjuku. The waiter, served me a glass of Sanshitsu Junmai Ginjo. It was just opened and was so fresh that it was almost sparkling. The taste was nothing short of amazing and nearly perfect for my tastes. I was very saddened to hear that the label was made in very small quantities and was very hard to get. Flash forward to just a few weeks ago in Tokyo, where I saw a very familiar bottle. The very same label, but the unpasteurized version of it. I wish that I could say that i love this nama as much as the original. It’s still exceptional, with a light, fruity, refreshing taste, it has a bolder flavor that I feel takes away from the delicate balance of the original. 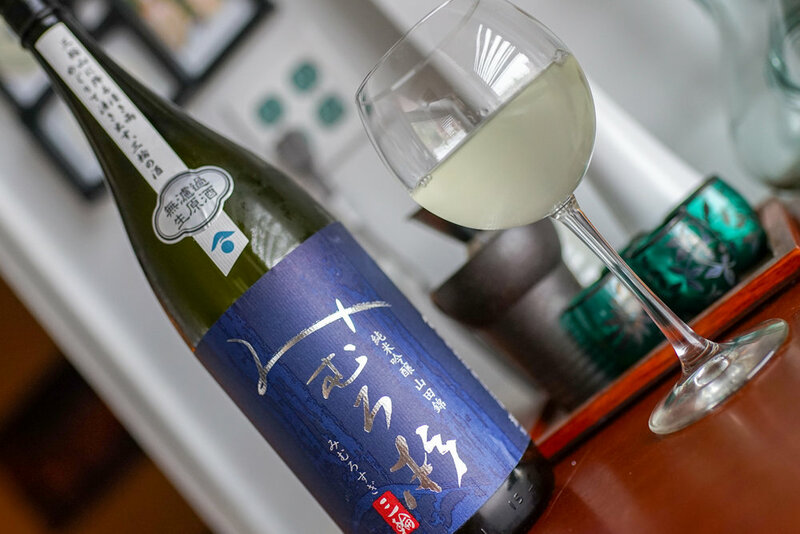 Make no mistake though, this nama tastes almost juicy and is an outstanding sake in its own right. Imanishi has something special on their hands with their Sanshitsu line and all i can do is hope that they export to the US someday!